Copy Sheet Set Properties from one Sheet Set to another. If the property itself is not existing in the destination Sheet Set it will be created. 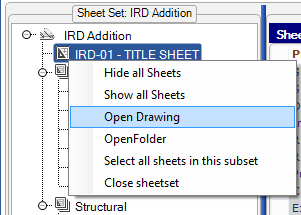 Optionally rename actual layout name on the drawing file associated with the sheet. Export all Sheet or Sheet Set Properties information to a text file or an Excel file. Find and replace text values on properties. 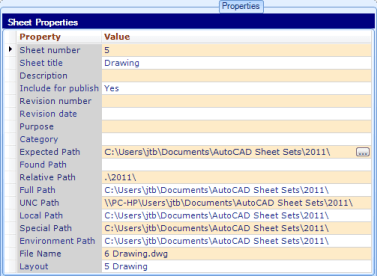 Launch your DWG application from the tree view opening the sheet drawing. 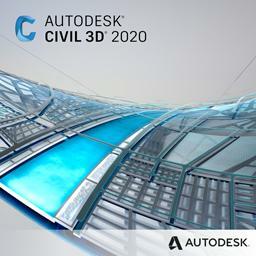 The application could for example be AutoCAD, AutoCAD LT or TrueView. Workaround when sheet title contains unsupported characters? Have you got “The name cannot be longer than 64 characters”? SSMPropEditor can help with this. SSMPropEditor will save you time and money and make you less frustrated when you don't need to edit one sheet at a time. 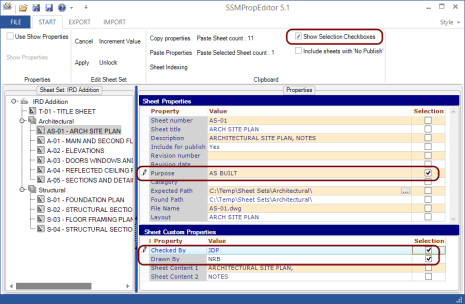 Update and correct non-existing paths to improve performance of the Sheet Set Manager. The installer now adds Edit With SSMPropEditor to Windows Explorer context menu for DST files. "Add Edit With SSMPropEditor to Explorer.reg" and "Remove Edit With SSMPropEditor to Explorer.reg" are added to installation folder and can be used manually. Try also to temporary disable the anti-virus and then try SSM. If it is quicker there might be ways to configure it to exclude AutoCAD. The DST converter is useful for IT or CAD Managers to correct performance problems with SSM Sheet Sets that started to perform badly. The program converts a DST file to an XML file that can be edited in an XML editor or Notepad and then converted back to DST. One customer used it to replace some dead paths in an SSM file and made a 50 sheet set of construction dwgs each open in 20 seconds instead of the 1½-2 minutes it was taking. Another customer found that the size of the DST was increasing more than reasonable and was able to manually compress and remove erroneous data. Eventually found out that changing the "include in publish" status was what caused the bloat. There is no trial for DST Converter but if you open a DST file in SSMPropEditor a corresponding XML file will be created in the %TEMP% folder so you can review the format of it. Purchase details. For one customer there were two "nodes" in this path: AcSmDatabase\AcSmSheetSet\AcSmPublishOptions each named "AcSmCustomPropertyBag" that each contained over 8MB of data. He deleted these nodes and converted the XML back to a DST and everything is OK. So for some reason, it looks like changing the "include in publish" status (at least in this particular SS) is causing the bloat. DST Converter can also be used to merge Sheet Sets. Merge, purge and convert Sheet Set DST files for AutoCAD, BricsCAD, GstarCAD, NanoCAD Plus/Pro and any other CAD software using Sheet Set DST files with our JTB DST Tool. SSMPropEditor works for 30 days in trial mode with full functionality. If you purchased on or after November 1, 2017 the upgrade is free of charge. Current version is 7.2. The installer download is 6.0 MB. This installer will also install SSMPropEditor as AutoCAD app. This will install a Plug-ins/Add-ins Ribbon tab panel in AutoCAD 2012 up to AutoCAD 2020 as well as verticals. (Menu will not show up in AutoCAD LT). Other languages can be made available upon request and with some help with the translation. There is also a portable download with the possibility to get the files without the need run the installation. Just extract the files to any folder on your computer or USB memory and run SSMPropEditor.exe. SSMPropEditor_7_2_no_installation.zip (~7 MB). Language can be changed within the application if needed. SSMPropEditor can be downloaded and installed as an app from the Autodesk App Store site. Purchase is also available through this site. Subscribe to our SSMPropEditor newsletter or any of our other Newsletters. Operating system - Windows 10, Windows 8.1, Windows 8, Windows 7, Windows Server 2016, Windows Server 2012 R2, Windows Server 2012, Windows Server 2008 R2, Windows 2008 Server. Both 32-bit and 64-bit. Contact us if there's a need for support for older Windows versions. To rename the actual layout name full AutoCAD 2013 or newer needs to be installed. The software runs stand-alone and does not require AutoCAD or other CAD software to be installed . 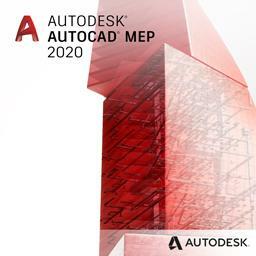 Compatible with AutoCAD versions (2005 and up to AutoCAD 2020) that has Sheet Set Manager (SSM). Works with all flavors/verticals based on AutoCAD like AutoCAD Architecture (ACA), Architectural Desktop (ADT), AutoCAD Civil 3D, AutoCAD Electrical , AutoCAD Map 3D, AutoCAD Mechanical, AutoCAD MEP (AMEP, ABS), AutoCAD P&ID, AutoCAD Plant 3D. 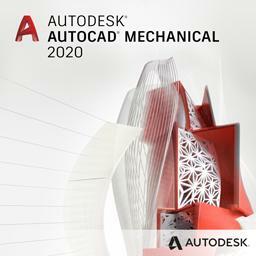 Compatible with AutoCAD Architecture, AutoCAD LT, etc. New license: 95 USD for one license of SSMPropEditor or less depending on the quantity of licenses. SSMPropEditor can also be downloaded, installed and purchased as an app from the Autodesk App Store site. Use this link to purchase. Upgrade license: 45 USD for one license of SSMPropEditor or less depending on the quantity of licenses. If you purchased on or after November 1, 2017 the upgrade is free of charge. The network license system is available at no extra cost and normally most useful for companies with quite many licenses. The network license is priced the same but you basically need a license per user anyway as the license will be locked to that user for 4 weeks after last usage. Reason is that this app is not such that you keep it running for an extended time. But the network license helps when you have many licenses as each computer does not need to be activated through us. There is volume discount available with purchase of multiple licenses. 10 USD for one license of DST Converter or less depending on the quantity of licenses. When your purchase is completed you will get an email with the DST Converter download. If you want more functionality and ease of use take a look at our JTB DST Tool as it can merge, purge and convert Sheet Set DST files for AutoCAD, BricsCAD and any other CAD software using Sheet Set DST files. It is not advised to install on a network location. 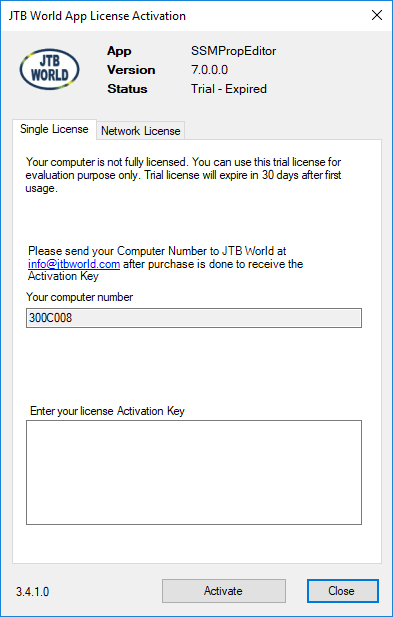 For version 6.5 or newer: To activate the license run SSMPropEditor click on File followed by License Activation and send us the computer number showing in the dialog box. Normally we will send the activation key within 24 hours. After entering the license key, restart the app. If you install both variants of SSMPropEditor the license file needs to be in both locations. To run the program you find it on the Windows Start menu>All Programs>SSMPropEditor alternatively for AutoCAD app on the Plug-ins/Add-ins tab. It is also possible to run SSMPropEditor from a thumb drive or portable drive or network by downloading the "no installation" .zip file and extract the files to location of your choice. Use this in a BAT, CMD, VBS so that the license file also is included with the installation. If the installer hangs at start and does not show up any dialog to proceed with the installation. Open Windows Task Manager and on Details tab locate SSMPropEditor <version> installer.exe and end the task. After that open Windows uninstall a program window and uninstall manually any existing installations of SSMPropEditor. Then run the installer again. Run SSMPropEditor.exe from the installation folder or start SSMPropEditor from the Windows Start menu. "Edit With SSMPropEditor" in Windows Explorer context menu for DST files can be used. "Add Edit With SSMPropEditor to Explorer.reg" and "Remove Edit With SSMPropEditor to Explorer.reg" are added to installation folder and can be used manually. If SSMPropEditor as AutoCAD app has been used for installation the application will automatically load in AutoCAD and also add the SSMPropEditor panel to the Ribbon tab Plug-ins/Add-ins. In AutoCAD 2013 and newer if a drawing has an associated sheet set it will be opened in SSMPropEditor and if pressing F1 while hovering over the icon on the Ribbon the help file is opened. Commands defined for AutoCAD are SSMPropEditor (starts the application), SSMPropEditorAppShortcuts (will create shortcut to the program in the Windows Start menu or on the desktop) and SSMPropEditorHelp (opens the local help file). If the trial has expired or you don't have the license file SSMPropEditor or if the Sheet Set is locked SSMPropEditor will run in a read-only mode. With a time limited license the software works without limitation except for the time period limitation. Here are a few steps to use the program. Click on the open button or the application menu or FILE menu followed by open or select from recent sheet sets to Open a DST file. 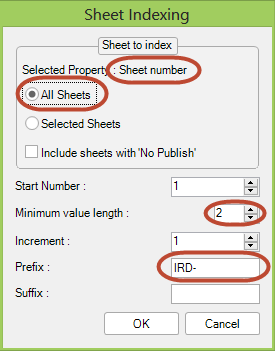 Select one or many sheets in the tree or click on the top node to access the Sheet Set Properties. Click on Show Properties button if "Use Show Properties" is checked. If selecting many sheets it can speed up if "Use Show Properties" is checked but it is a bit less convenient because the button needs to be pressed for the properties to update. Make the changes to the properties. If the values of a property is different on at least two of the selected sheets you will see *VARIES* as value. Click on Apply before selecting other sheets in the tree on the left side. Apply is only a way to accept the changes but they are not saved to the DST file until Save is pressed. When opening another Sheet Set (DST file) or exiting the application you will be asked to save the changes permanently to the Sheet Set. Note that changing the Layout property does not change the layout name in the actual DWG file unless Option setting "Rename Layout in drawing" is checked, if unchecked it should only be used if the layout previously has been or will be changed separately in the DWG file. Renaming layouts requires AutoCAD to open each drawing and will take some time during the saving depending on the amount of drawings. Or if you cannot access YouTube use here is an alternative. Make the changes on the selected sheets. Make changes and click on Apply. Select this checkbox if you don't want to click on Show Properties when you click in the tree view. This can be good when you select a few sheets but it can be slow if you have many sheets. Click on this button to show the properties of the Sheet Set or the Sheet. Click on Apply before selecting other sheets in the tree on the left side. Apply is only a way to accept the changes but they are not saved until Save is pressed. Increment the value in the active property cell. One or more sheets can be selected. Even if the values are varying each value will be incremented individually. If the existing value is a number it will be incremented to the next number and if a letter to the next letter. If there is a need for a custom incremental series a file named increment_value.txt can be placed in the same folder as the DST file and it will be used to control the increment functionality. In the above example if the existing value is 0 it will be changed to A. If the existing value is B there is no value after so it will not be changed. Notice that each value is enclosed by double quotes. The file can easily be created using Notepad or another basic text editor. Use the unlock/lock button to unlock or lock the sheet set. This makes it possible to save changes and see them updated in AutoCAD without having to close and open the Sheet Set. When the button says Unlock, clicking on it will make SSMPropEditor unlock the DST file and make it possible to edit it in AutoCAD and make it read-only in SSMPropEditor. When the button says Lock, clicking on it will make SSMPropEditor lock the DST file so it is possible to edit properties. If the DST file is locked by AutoCAD for example when you have the sheet properties dialog box open, SSMPropEditor cannot lock it. Click on the Find & Replace button. Find and replace text in properties on the current selected sheet, all sheets and more. What is the difference of Cancel and Hide? When Cancel is pressed, all search related datas will be cleared. So, for the next 'Find button Click', It will start as a new one. When Hide is pressed, all selections will be maintained even with the next line number to be searched. So, for the next 'Find button Click', all previous data will be resumed. Some Find and Replace can also be achieved in Excel after exporting. Show Copy Checkboxes checkbox needs to be checked first. The Sheet Set (top level in the tree view) or one or multiple sheets can be selected. Select what properties should be copied and press Copy Properties. 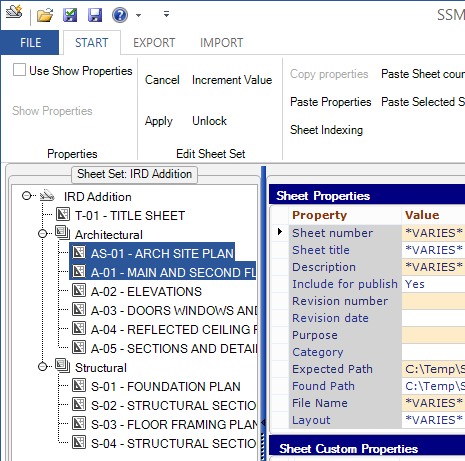 A Sheet Set or one or many sheets can be selected to paste the properties to. It is possible to copy properties from one sheet set and then open another sheet set and paste the properties to. Pasting can be done to the same Sheet Set as copied from or to another Sheet Set. If copying to another Sheet Set and if the custom property definition is not existing it will be created and added. The number of sheets is pasted to the currently selected property cell. This is useful if you have a property holding the total number of sheets either as a Sheet Set Custom Property or a Sheet Custom Property. 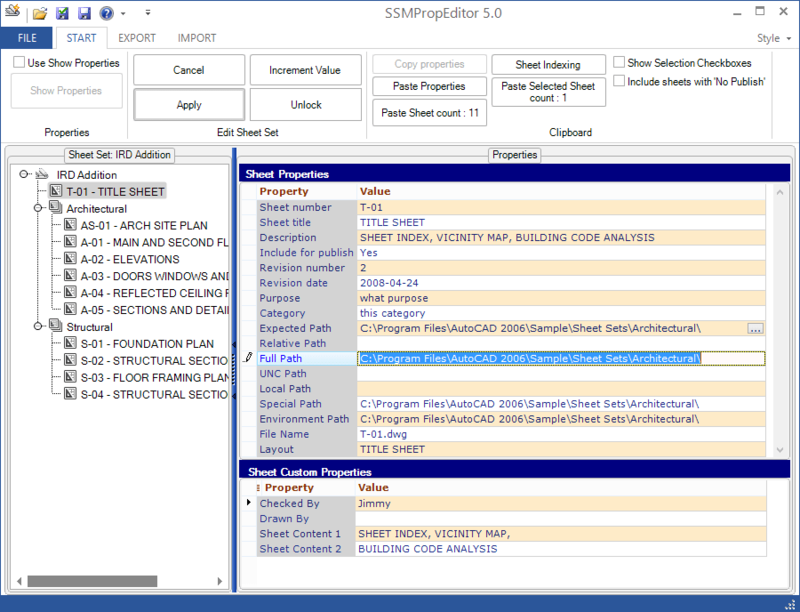 The number of selected sheets is pasted to the currently selected property cell. Makes it possible to renumber multiple sheets. If a selection of sheets should be indexed select them in the tree view. Select one Sheet Property or Sheet Custom Property. Click on Sheet Indexing button. The dialog box that makes it possible to specify how the indexing should work opens up. Note in this case how the Sheet Property Sheet number have been changed on all sheets and with the prefix specified. Check this checkbox to be able to select the properties to copy. This applies to the buttons for Paste Sheet count and Paste Selected Sheet count. Check all checkboxes in the current property area. For example all Sheet Custom Properties. Uncheck all checkboxes in the current property area. For example all Sheet Custom Properties. Here you have access to Open, Apply, Save and Recent Sheet Sets. To check if there is a new version available click on "Check for update"
Click on the Application menu and Options. Show ToolTips - decide if you want ToolTips to show when holding the mouse over buttons. Show found path - similar to how it works in SSM in AutoCAD. When checked it may affect performance as it might take time to verify if the file is found, especially when there are paths that does not exist. Grid TAB movement - allow you to use TAB to move between properties in the grid. Otherwise up and down arrows can also be used. Always create a backup of the Sheet Set - the backup of the DST file is using the BAK file extension. Apply changes automatically - if you don't want to click on Apply all the time. Rename actual .dwg file - used together with renaming of "File Name" Sheet Property. Read more about renaming Sheets/Drawings here. Rename Layout in drawing - use this if you want to change the actual layout in the drawing. This requires AutoCAD 2013 or newer to be installed and saving the Sheet Set will take a while depending on the number of drawings to process as AutoCAD needs to be opening each drawing using accoreConsole.exe. When accoreConsole.exe is not found this checkbox will be disabled. Advanced: Show internal paths - see below under subject "Editing of internal paths". Ribbon button outline - show outline around buttons. Language dropdown - select language and then restart the application. Default Settings - restore settings to the default. 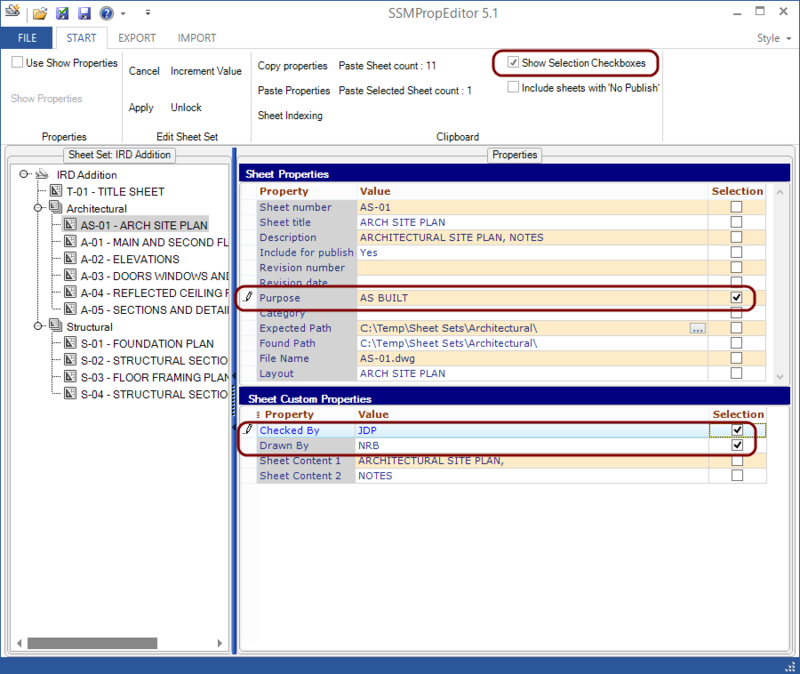 Update and correct non-existing paths to improve performance of SSM within AutoCAD. As default "Advanced: Show internal paths" is unchecked. 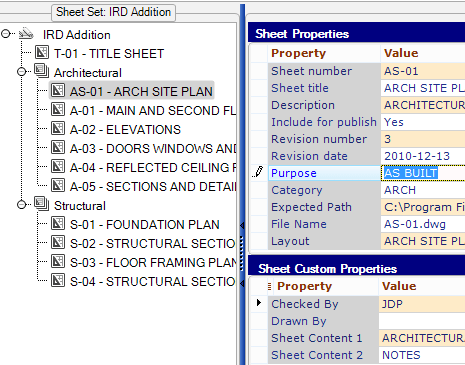 When activated reopen the sheet set to see the new properties: Relative Path, Full Path, UNC Path, Local Path, Special Path and Environment Path. AutoCAD's Sheet Set Manager and SSMPropEditor will try find the sheet/drawing/"File Name" by first looking at the "Relative Path". This is relative to the DST file location and is empty if a relative path cannot be created like when the DST and DWG are on different drives. If the sheet is found using the "Relative Path" the complete path will show in "Found Path". "Expected Path" will be based on the "Relative Path" if it is available. If the "File Name" is not found in the "Relative Path" the "File Name" will be searched for in the "Full Path". If still not found "UNC Path", "Local Path", "Special Path" and "Environment Path" will be searched in the mentioned order. If "File Name" is not found in any of these folders "Found Path" will be empty. 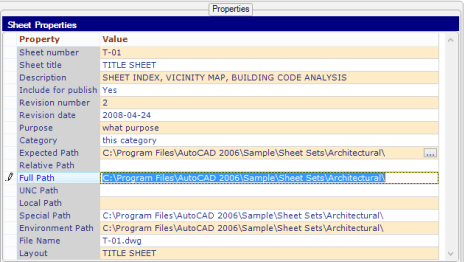 Because of the above functionality in Sheet Set Manager the performance can be affected if AutoCAD has to try locating the drawing file in non-existing folders on the network and especially non-existing UNC path. To correct this either make sure all paths are existing or you can delete some of the path properties and just leave one so that the drawing files is found. Suggestion is to make sure the relative path is correct making it possible to relocate the sheet set and also make sure the full path is correct. If "Rename actual .dwg file" is activated in Options changing the "File Name" property will result in the drawing file being renamed when saving the Sheet Set. If "Expected Path" is changed it will result in the drawing file being moved when saving the Sheet Set. Changing any of the other paths can depending on the circumstances also result in moving the drawing file. If "Rename actual .dwg file" is not activated changing the "File Name" can result in that the sheet is not found in Sheet Set Manager (The name is greyed out and a question mark ? is seen on the icon). This setting is useful if you want to correct the path or file name of sheets that are not found in Sheet Set Manager because the files where previously moved manually or renamed manually. Environment path is a path containing an environment variable. Right click on a sheet or subset in the tree view for more options. Open drawing - The application you have associated with DWG files will be used to open the drawing. Open folder - Open the folder in Windows Explorer where the sheet DWG file is located in. Sort sheets in Sheet number order. Sheet data or Sheet Set data can be exported either to a text file (tab separated format) or to an Excel file. Normally it is preferred to export directly to Excel. How can this be useful? Besides a more free way to edit the properties you can use Excel's functionality to find and replace text. Another thing is to switch properties on multiple sheets. Say you have entered text in the Revision number Sheet property and later found that due to a limitation this property cannot be used in a Sheet List Table, in Excel you can then copy the values from this Sheet property to a Custom Sheet property and thus work around the limitation. You cannot add or delete sheets or properties this way. 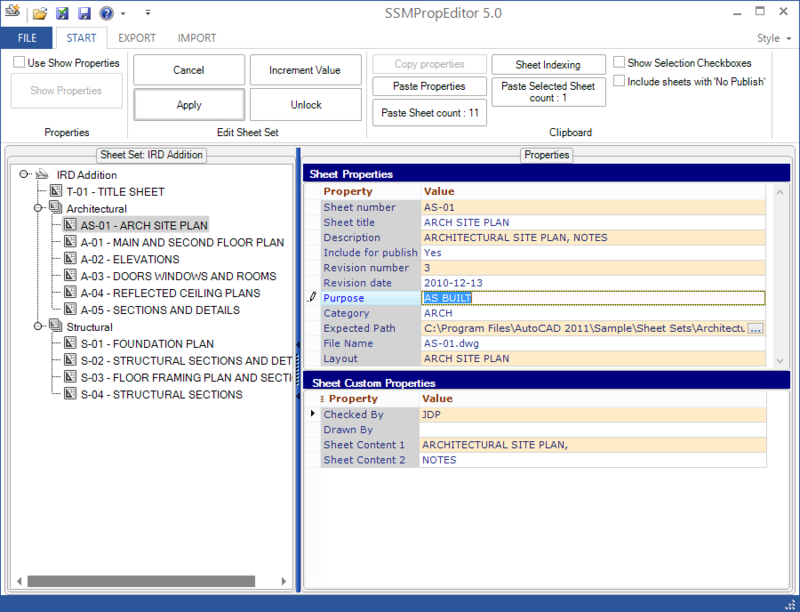 Only edit the property values, paths, sheet set names or numbers. Subset names can also be changed. Import Sheet data or Sheet Set data. To avoid not expected ? characters when importing a text file to SSMPropEditor use save as in Excel as Unicode txt format instead. Or use import directly from an Excel file to avoid formatting issues. The following is avoided by exporting/importing to Excel file. When opening a text file in Excel it sometimes automatically format cells so that for example a value 1:100 is showing as 0.1111111 and 1:50 as 01:50 or 0011 as 11 or having dates changing format. 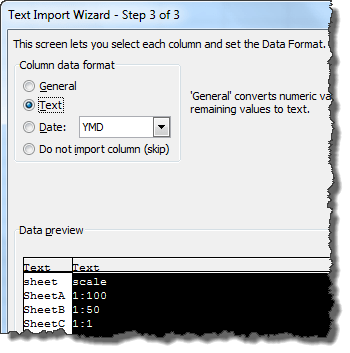 To avoid that make sure to use the Text Import Wizard within Excel. The data is delimited with Tabs. Specifically set the data format for all columns to "Text" to be sure the formatting stays as expected. Tip! In the "Data preview" highlight the first column. Then scroll to the last column on the right and while holding down shift, click the column with your mouse pointer. All columns will then be highlighted. Now set the column data format to Text. Start SSMPropEditor.exe with the full path to a DST file as argument to open the sheet set. Create Grid Report or Report Preview to print to a printer or export to PDF, HTML, JPEG or TIFF. To clear the recent list merge the file SSMPropEditor Clear Recent List.reg to the registry by double clicking on it. The file is located in the installation folder. If you make use of publishing in the background in AutoCAD you need to first run "Resave All Sheets" in SSM before starting to publish. Otherwise the updated properties by SSMPropEditor will not be used. Click on Style and select any of the styles and optionally a custom color. Drag and drop a DST file into SSMPropEditor to open the Sheet Set. Q: Why is SSMPropEditor slow or hangs? 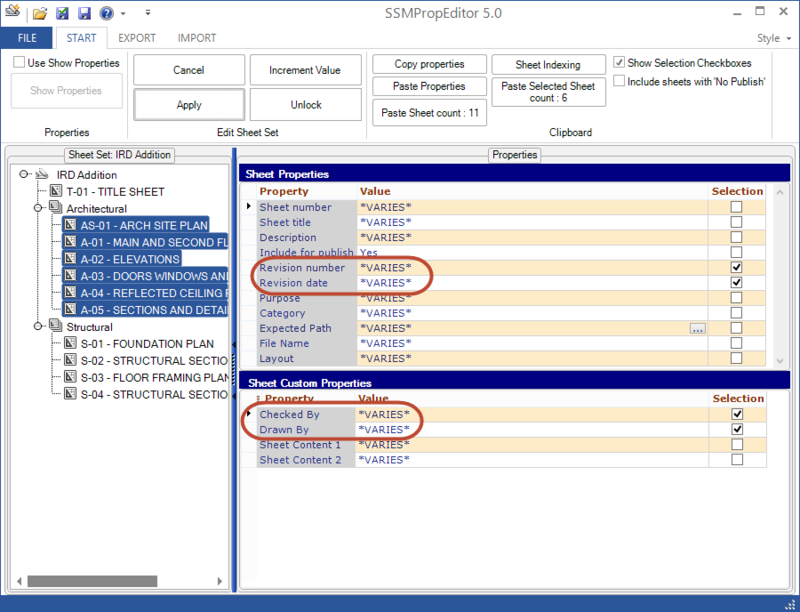 A: If the Show Properties checkbox is checked it can affect the performance if there are many sheets in the Sheet Set. if "Rename Layout in drawing" checkbox is checked in Options SSMPropEditor requires AutoCAD to open each drawing one by one and will take some time during the saving of the Sheet Set depending on the amount of drawings. Q: My experience with sheet set manager has shown that in the absence of the .dst file the associated fields retain the last information they were populated with. After running SSMPropEditor and sending the files to a consultant, the consultant only sees # symbols where the fields are located. Any thoughts? A: Your observation is correct and as expected. SSMPropEditor only touches the DST file and unless AutoCAD has been opened and having resaved the sheets the changes will not be seen in the drawings without the DST file available. Editing model view paths is not working. Changing language within the application requires to restart it to avoid unexpected problems. Some known Vault issues that makes it not work in all environments. Work is being done to fix it ASAP. Fixed a problem to drag and drop a DST file into the app. 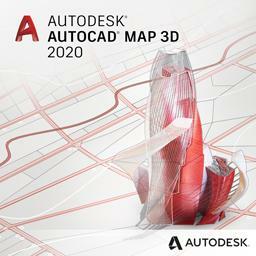 Added Autodesk® AutoCAD® 2018 support. Fixed a problem when importing Excel files in certain cases could cause issues with paths and renaming of dwg files. Improvement of performance in some cases when paths to dwg files are not found. One installer for 32-bit and 64-bit as well as for different languages. Fixed an issue in version 6.0 that could cause problems if an earlier version was installed. Makes SSMPropEditor to use the last run version of AutoCAD if multiple versions of AutoCAD are installed. Handle non existing UNC paths by giving the user the choice to ignore these paths during the remainder of the session and giving the recommendation to fix the paths if there's a need for it. Solved some bugs when copying properties and then pasting them that could result in the order of the sheet custom properties to be changed. Solved a bug where the Sheet Set file is automatically saved during copy/paste of properties. Cleared the pasting issue that resulted in empty grids on the right side. Solved a problem related to Sheet Set created in ProjectWise. SSMPropEditor saves the DST in more compressed way than before making the DST file smaller. Find & Replace of property text has been added. Added possibility to rename the actual layout name on drawings. Added two new buttons to check or uncheck all properties when the Selection column is used. Added sorting of sheets to the right click menu in the tree view area. 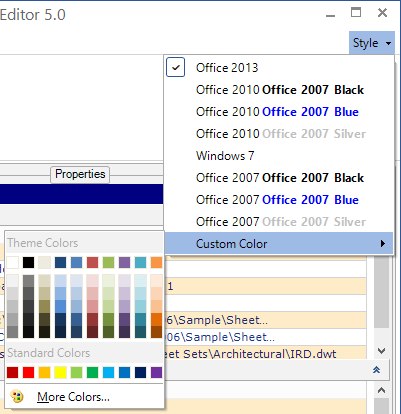 Visual Studio 2012 Light theme added. Fixed problem with broken sheet view numbers, titles, scales on callouts after certain changes have been done in SSMPropEditor. Bug fixed: After incrementing sheet numbers the tree view is not updated. This bug has been fixed: Select multiple sheets and use increment value on the sheet number and it is not updated in the tree view. To see the change, save, close and open the Sheet Set. Several other minor or odd bugs have been fixed. Fixed bug when exporting sheets to Excel in non-English languages. Fixed a problem when importing from from Excel or text when French is used. Fixed a problem when exporting sheet set data and the sheet set title contained characters not allowed in file names. Fixed a problem where some custom sheet properties did not show up on the sheet set node. Fixed bug: Export to Excel does not retain values with only a space or Alt+0160 (blank space). Solved a bug where the tree view structure (collapsed and expanded folders) was lost when pasting properties. Now it's possible to use Alt-Tab to activate SSMPropEditor while the Options dialog box is open. Fixed bug: If you right click on a sheet "Select all sheets in this subset" does not select all sheets. Direct export/import to Excel. Export to Excel does not retain values with only a space or Alt+0160 (blank space or Non-break Space). A fix is available upon request. Export/Import Sheet Set properties added. In Options dialog box language can be selected. Sheet Indexing lowest start number changed from 1 to 0. Bug fix with export/import to text file that could happen in some Windows languages/regional settings. Added localization for Spanish and French. Bug with renaming of sheets when views are used fixed. Fixed UI problem when Windows is set to another text size (DPI) than 100%. 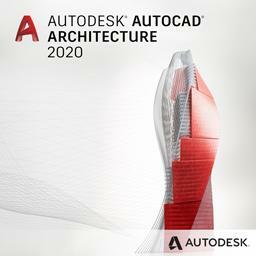 Added compatibility for AutoCAD 2013. Start Sheet Set associated with the current drawing when started from AutoCAD. Start Sheet Set by specifying DST file as argument when running the SSMPropEditor.exe. Tab movement settings is now saved as it should after restarting SSMPropEditor. Bug in SSMPropEditor that the grid is moved to left when checking the selection checkboxes. Bug fixed when importing from another location than where the DST is located. Fixed path issue with export. Fixed problem to remove some of the paths. Fixed browsing for sheet path. If copying properties from one sheet set to another any non-existing properties will be created. Added check for update making it possible to see if a newer version is available. Fixed a problem with single click on selection checkboxes. Made it possible to single click on selection checkboxes. Fixed a problem with import/export related to hard spaces. Added version to application title. 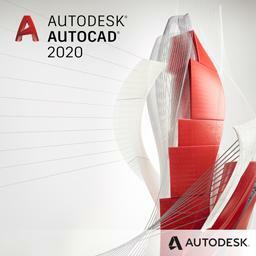 AutoCAD 2012 based autoloader Plug-Ins support. Fixes a memory bloat issue that can happen under some circumstances. Fixes the issues in 4.3 and 4.3.1 related to relative path not working and file name being emptied. Fixed some issues that made right click open drawing and folder not working. Fixed a problem when sometimes AutoCAD shows that it does not find the sheet after making a change in SSMPropEditor. Fixed a problem with importing of txt file. Fixed a minor problem with recent sheet set list tooltip. A couple customers have reported that the relative path is cleared after making changes to some properties in SSMPropEditor so that the sheets shows a question mark in SSM. To avoid the problem have "Use Show Properties" checked. Added tooltip to recent sheet set list. It is now possible to add just a space for properties to avoid the dots showing in AutoCAD. Possible to add spaces at the beginning and end of Sheet Indexing prefixes or suffixes. The tree view expansion/collapse is not restored in certain cases. 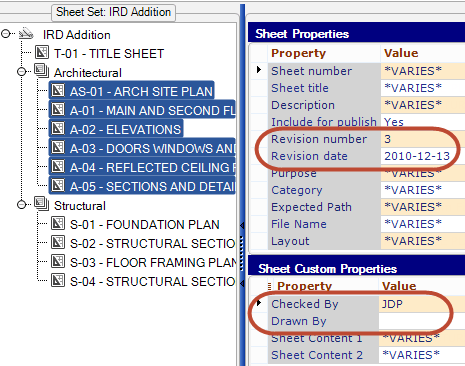 Sheets with .DWG in capital letters are incorrectly showing with an extra .dwg suffix. Renaming and repathing/moving of the actual dwg files is not always working. Export is not working in some cases. Removed save dialog when unlocking or closing a sheet if no changes have been done. Added more abilities to control the paths to sheets. This affects renaming of sheet paths and also makes it possible to correct performance issues due to non existing paths. Added Options>Advanced: Show internal paths. Improved the treeview control that lists the sheets so it retains selection after applying changes. Bug fixed solving a problem copying properties between sheet sets during some circumstances. Renaming and repathing of the actual dwg files is not always working. Bugs found after release of 4.1 fixed. The bugs are related to when using "renaming of actual .dwg file". Import of exported file. Making it possible to edit the exported file and import it back. Renaming of actual .dwg file. Available as an option. Change path of .dwg file and added browse button. Easy to add Sheet count to a property so you can have text on the drawing showing for example “Sheet 5 of 18”. File Path, File Name and File Layout is possible to edit on one or multiple sheets at a time. Performance improvements when selecting sheets in the tree view. Recent list have the option to delete not found shortcuts. Optionally use tab to move between property cells. Close of Sheet Set without closing the application. There is a Ribbon, Application Menu, Quick Access Toolbar. Increment values. Think of revisions for example. 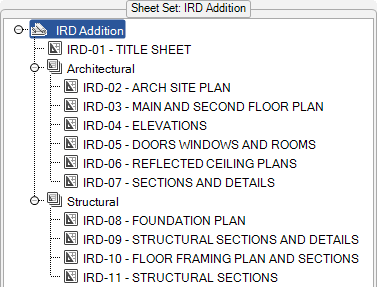 Even if you have different revisions on different sheets they will be incremented individually. 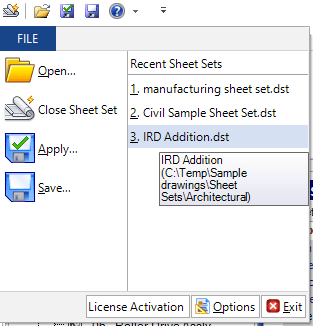 You can even use custom incremental series if needed for each Sheet Set. Sheet Set Properties and Sheet Set Custom Properties can be edited. An option to always have a backup of the Sheet Set DST file created whenever you open a Sheet Set. Disable ToolTips if you want. Choose if you want to show properties as soon as you make a selection in the tree view or if you want to show them when you press the button. The reason there is a manual way is that it is quicker if you make large selections of sheets. Copy properties from one sheet to one or many other sheets, even between sheet sets. Check the “Show Copy Checkboxes” checkbox first and then select what properties you want to copy and paste. There is a button allowing you to paste the Sheet count of the Sheet Set into the currently selected property. Export data to a format that you can use in Excel for example. Create reports that you can print. Access to previously opened Sheet Sets. Unlock/Lock button that let you release the lock of the Sheet Set so you can see changes directly in AutoCAD. Have changes applied automatically as an option. Localized to German. German page here. 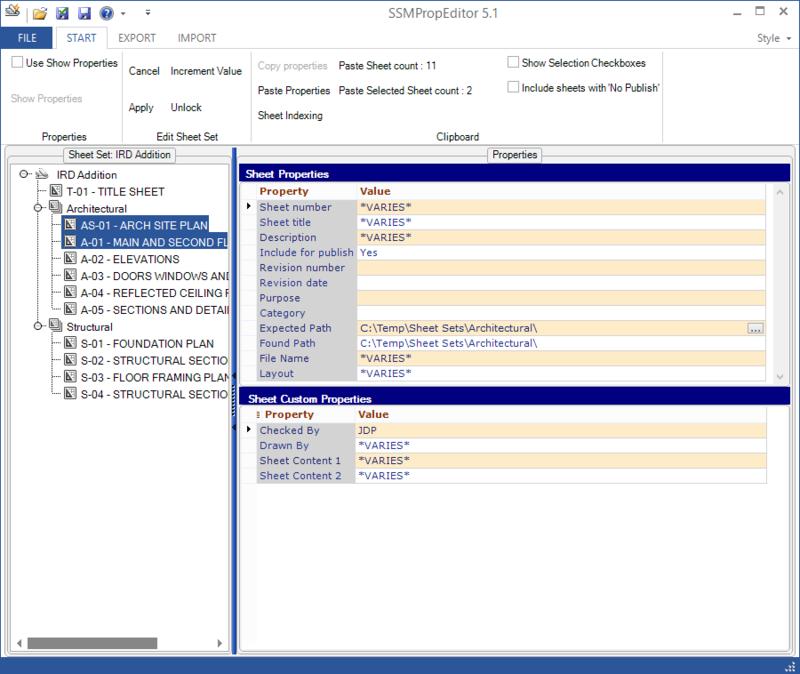 If the Sheet Set is locked you can open it Read Only in SSMPropEditor and if it is not locked SSMPropEditor will add a lock on it so you cannot modify it within AutoCAD even though you can open it. The aim is that it should play more nice with AutoCAD this way. A confirmation dialog have been removed to speed up the usage. Not publicly released. More of a beta for 2.2. Performance when selecting sheets in large sheet sets. After Save the selection remain and the new values are seen in the Properties list. Added ability to edit the Sheet title, Sheet number and Include for publish. Export as tab separated text file that easily can be opened with Excel. Added Include for publish, Sheet title and Sheet number and corrected the Sheet Properties sort order to mach AutoCAD's. Open the sheet in the program that you have associated to open DWG files. Open the folder in Windows Explorer where the sheet DWG file is located in. Now Shift can be used to select multiple sheets in the tree view. Bug fix related to some sheets that could not show the properties. Optionally have a spread sheet view or grid to edit the values in. To manually rearrange the sheets or subsets and view categories. To be able to plot using for example AutoCAD or AutoCAD LT.
Ability to rearrange the “Locations” (folders) under the Model Views Tab and the same ability to rearrange the “Categories” under the Sheet Views Tab. Support to manipulate the .APJ project files for AutoCAD, Inventor and more..
Add new or delete custom properties. Delete selected sheets or subset including sheets. Tool to help migrate data from old title blocks with normal attributes to attributes with fields connected to the sheet set. 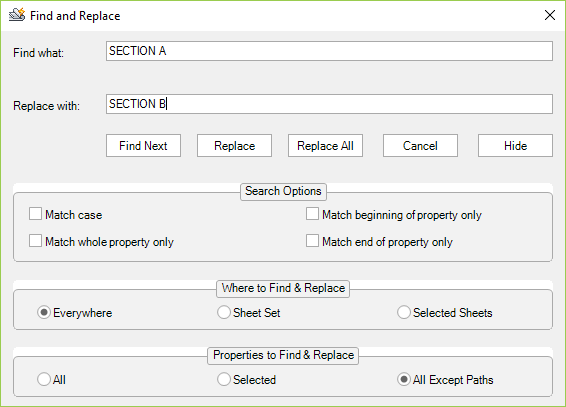 Ability to add prefix or suffix to an existing property, including the ability to add to multiple sheets (similar to indexing’s functionality, but maintaining the existing value for each page). To sort properties in a custom order. Saved settings in a separate file saved in same folder as the DST. Still this sort order will not show when you run SSM within AutoCAD. Ability to remove multiple subsets at once or even deleting a subset and all the sheets associated with it. Having to delete multiple sheets is at once is excellent but would like to do the same with subsets. Edit subset custom properties. Not yet available in AutoCAD's Sheet Set Manager. Add alphabetic indexing as an option to Sheet Indexing. Rename drawings similar to what is possible in the Sheet Set Manager by adding sheet number to the file name. Edit Sheet Views information. Possibly export/import to Excel. If you too have a need for any of these wishes please contact us so we know how big the need for it is and can prioritize accordingly. "This program is one of the best values for the money we spent. I have mentioned this to management several times. The program and the support is above and beyond. " "I love the SSMPropEditor, by the way. It's the coolest thing since sliced bread." "I've just sent out a final issue of some 40-50 drawings for a project that I've been working on all year. I only needed to use the Prop editor once, but it worked 'exactly like it said on the tin'. Excellent! Why don't Autodesk do this already? Great product." - Happy customer. Really wish I would have had this program several times in my career. It would have saved me a ton of work. I haven't done extensive testing on this app yet but it's already saved me tons of work. Templates are great but there are simply times when you need to "retrofit" elements to existing sheet sets. In my case I was looking to roll out a drawing revision block that is driven by Sheet Set custom properties across +15 sets with 20+ sheets. This app has allowed me to just copy/paste. Honestly I think this functionality should be baked into AutoCAD from the get go but JTB World has done a great job filling the gap! I strongly recommend it." "As a Cad Support person with Brisbane City Council (Australia) I have been responsible for the implementation of Sheet Set Manager within AutoCad and AutoCad Map 3D. This initiation was overall excepted well, however one of the few complaints I have received is the inability of editing multiple drawing (often in excess of 100 drawings) Titleblock information (SSM Titleblock Fields. I found "SSMPropEditor" on JTB World's Website (a website I visit regularly). I organised for an evaluation licence and used SSMPropEditor on a number of large projects Brisbane City Council are currently involved with. All Cad Users involved with these Projects and using SSMPropEditor commented how much easier and quicker it made editing mutiple drawings. The main comment was ... "when can we buy it". As a result Brisbane City Council will be purchasing "SSMPropEditor" (multiple copies) and are extremely happy with exactly how this software works. It enhances the use of Sheet Set Manager within AutoCad products. A big thank you to JTB World"
"I believe everyone should be using AutoCAD's Sheet Set Manager, as it greatly improves drawing management. I also believe everyone should be using your Sheet Set Property Editor and Sheet Set Path Editor. Both tools greatly improve AutoCAD's Sheet Set Manager. Our users have indicated that using your software allows them to update the title block data more effectively and efficiently, thus saving time with drawing revisions and submissions." - Keith Biggs, CAD Technical Coordinator, RF Binnie & Associates Ltd.
HOLY COW THERE MR JB where has this software been all my life, thanks for taking off at least a day of frustration per job now it takes only 15 min. "I would be lost without this APP!!! Such a huge time saver!" This makes a WORLD of difference applying the same properties to multiple custom sheet properties! I really appreciate your support. SSMPropEditor is by far the best app I've seen for AutoCAD it will safe us a lot of time. We will be certainly buying a license. "Thank you again for such a wonderful program and the support that you have given since our purchase. This has to be one of the best values for our money. Highly recommend this program for anyone who uses SheetSets." This software is a huge boost to production! 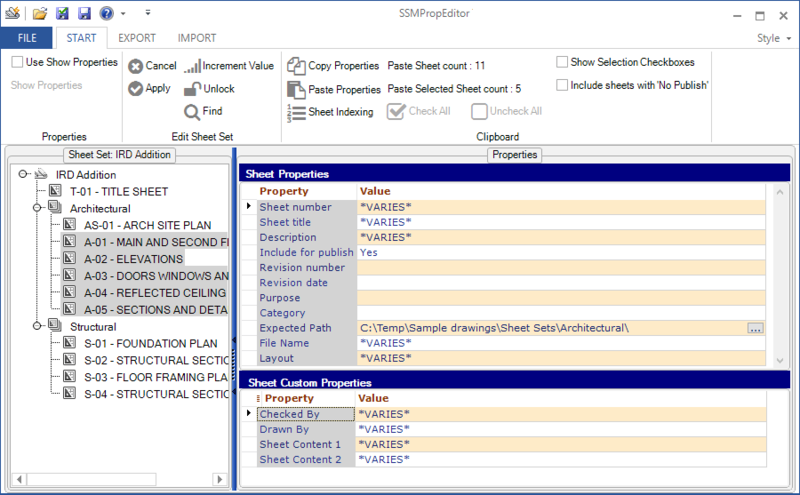 SSMPropEditor will help you save time and money when working with multiple sheets in the Sheet Set Manager. 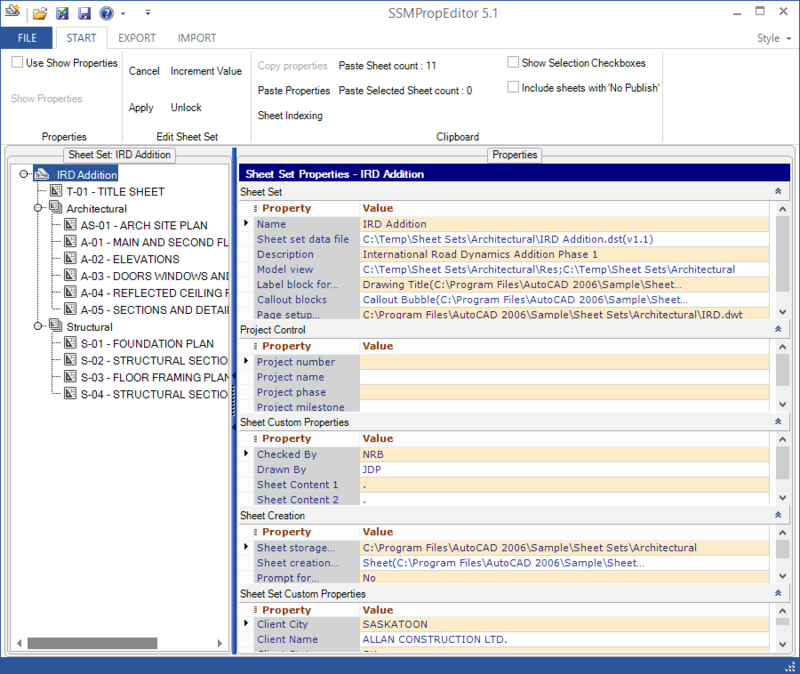 SSMPropEditor can help with: AutoCAD Sheet Set, AutoCAD Sheet Set Manager, AutoCAD Sheet Set performance, AutoCAD Sheet Set Manager performance, ACAD SSM, SSM performance issues, AutoCAD Sheet Set Properties, AutoCAD Sheet Properties and much more.